Industrial water plays a very important role in the entire national industrial system. At present, China’s industrial water accounts for about 80% of urban water use. Among them, the amount of cooling water ranks first. Generally more than 60%. Industrial water conservation is an important part of protecting water resources. Water conservation must first start with industrial water. Cooling water is the primary goal. The main way to save cooling water is to use a circulating cooling method. And increase the concentration of cooling water. Industrial cooling water is generally divided into two types: DC cooling water and circulating cooling water. The DC cooling water discharges the water used for cooling directly to rivers and lakes. It is a one-time use. DC cooling water creates a waste of resources. The circulating cooling water is used for cooling after the used water is cooled by the cooling tower. The entire water system is in a dynamic process of continuous circulation. Circulating cooling water is used multiple times. The circulating water cooling system is divided into closed and open type. The cooling water of the open circulating water cooling system is cooled by a cooling tower. The cooling water is recirculated during contact with air. The amount of water will change. The various minerals and ionics in the water will continue to increase in concentration. This requires a quantitative replenishment of the system. And a certain amount of concentrated water is discharged. The closed circulating cooling water system uses a closed cooling device. Cooling water is not directly exposed to the air. The heat of the return water is taken away by other heat exchange medium to achieve the effect of cooling. Circulating water cooling systems need to address the agglomeration, corrosion and microbial issues of pipelines and equipment. The chemicals used in industrial circulating water treatment mainly include scale inhibitors (DTPMP, HEDP), bactericidal algaecides (THPS, BKC1227), cleaning agents, pre-filming agents, and the like. Industrial boiler water is also an important part of industrial water use. Industrial boilers are a common energy replacement device. Its main function is to produce steam or heat water. Industrial boilers are widely used in the fields of electric power, machinery, and chemical industries. According to the steam pressure generated by the boiler, it can be divided into a high-pressure boiler, medium pressure boiler, and low-pressure boiler. According to the flow rate of the boiler, it can be divided into a large capacity (large) boiler, a medium capacity (medium) boiler, and a small capacity (small) boiler. The water source for industrial boiler water generally taps water and groundwater. The use of untreated water can easily cause fouling, corrosion and soda water to the boiler. Fouling directly affects heat transfer and normal circulation of soda. It is easy to form corrosion under scale. It also wastes fuel and shortens boiler life. Corrosion directly affects the strength of the material. In severe cases, it may cause cracks, leaks or even explosions. The soda and water together directly affect the steam quality. It may cause fouling of superheaters and other steam equipment and even cause safety accidents. Providing qualified water for the boiler is an essential measure to ensure the safe and economic operation of the boiler. Common methods for industrial boiler water treatment include pot water treatment and pot water treatment. The main medicaments used are corrosion and scale inhibitors, oxygen scavengers, ion exchangers, regenerants, softeners, alkalinity regulators and detergents. Drinking water is vital to human life. In order to ensure public health and reduce or eliminate the emergence of water-borne diseases, it is important to make drinking water quality meet national standard food. This requires the addition of a suitable water treatment agent to make the water quality of the factory in the process of producing qualified domestic water. The key points that need to be addressed are as follows. Algae control to reduce toxic or odorous algae in the reservoir. The flocculation process removes suspended and colloidal solids such as clay. Softening process to remove calcium and magnesium salts, especially carbonates and bicarbonates. Corrosion control to reduce corrosion on pipes. Sterilization and so on. 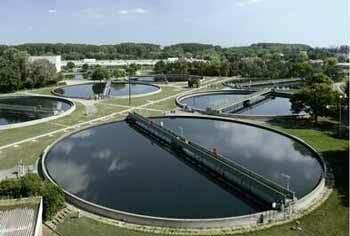 The water treatment agents involved in drinking water treatment generally include bactericidal algaecides, flocculants, corrosion inhibitors, and the like.